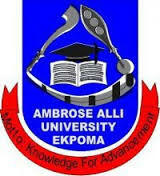 Ambrose Alli University, AAU Ekpoma Hostel Accommodation /Allocation Application Form and Vacancies Notice to all Interested Students for 2018/2019 Academic Session. This is to inform all those interested in securing accommodation in the hostels that there are a few vacancies available in some of the male and female hostels on campus arising from the withdrawal of bed spaces allocated to previous allottees who failed to book and pay for their allocation. Interested applicants should submit their school fees payment slip to the office of the Dean of Students on or before the 28th of February, 2019 for consideration.